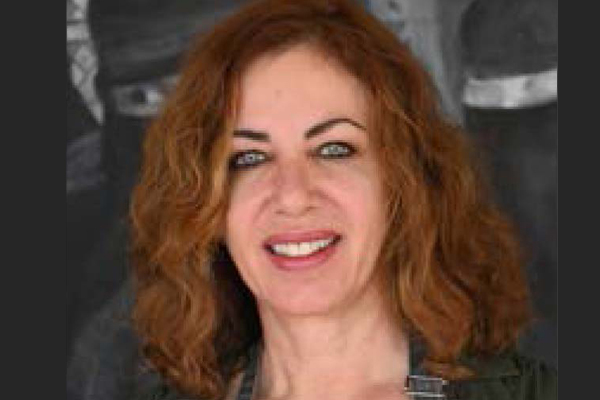 Greek artist Michalopoulou to showcase her work at the expo. Top international artists including Vasilis and Stavroula Michalopoulou from Greece, Nora Al Gahtani from Saudi Arabia and Haider Al Shaibani from Iraq, will be showcasing their works at On the Wall 2019, a dedicated event to promote Bahrain Artists to a wider audience which is being held as part of this year's Interiors Expo. The biggest integrated business-to-business showcase for the interiors sector in the Northern Gulf region, Interiors Expo 2019 will be held under the patronage of HRH Prince Khalifa Bin Salman Al Khalifa, Prime Minister of the Kingdom of Bahrain from April 23 to 25 at the Bahrain International Exhibition Centre, said the event organisers Hilal Conferences and Exhibitions (HCE). "Bahrain’s fledgling art show is gaining acclaim in the artworld in only its second edition," remarked the event’s curator Ali Shafiq of Bahrain Art Gallery. The ‘On the Wall 2’ will feature paintings, sculptures, photography, art installations and calligraphy from leading international Artists. HCE Managing Director Jubran Abdulrahman said: "We have created a home for On the Wall within our Interiors Expo, which runs alongside the Gulf Property Show and Gulf Construction Expo to provide the visitors an insight of the creative talents in Bahrain and Internationally; because for all of us the “On the Wall" is a concept to promote the medium of art as collectible and desirable across the whole community." Aprat from Vasilis and Stavroula and Al Gahtani, the other global artists on view at the On the Wall gallery include Haider Al Shaibani from Iraq, Abdul Razak Hamouda from Switzerland, Alaa al Rayan from Jordan and Mon Chouk from Tunis. "The ‘On The Wall’ event not only showcases these and leading Bahraini artists but will also feature a number of workshops, live painting classes and tutorials from artists. “These classes will be live streamed for the first time in Bahrain," stated Abdulrahman. "Bahrain Art Gallery is committed to encourage the development of the creative artist talents of Bahrain. On the Wall 2 is our not-for profit contribution to delivering on our aim, noted Shafiq. "As curators we have been reliant on the support of two of Bahrain’s leading lights of the art world, Abbas Al Mosawi and Mahdi Jallawi who have acted voluntarily as brand Ambassadors for On the Wall," he stated. "Our gallery, which is located on Exhibition Road, has now expanded its network to Bahrain’s City Centre with a new outlet," he added.